» Addenda to CRIME FICTION IV: Patricia Matthews, Alan Sewart & others. 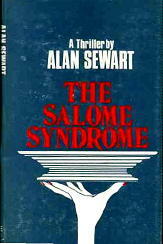 Addenda to CRIME FICTION IV: Patricia Matthews, Alan Sewart & others. BRISCO, PATTY. Pseudonym of Patricia (Anne Klein) Matthews, 1927-2006, q.v. Add death date. Under this pen name, the author of four gothic romantic suspense novels included in the (Revised) Crime Fiction IV, all in unstated collaboration with her husband, writer Clayton Matthews. One of these is shown below (Avon, pb, 1973). MATTHEWS, PATRICIA (ANNE KLEIN) (n�e ERNST). 1927-2006. Add year of death. Pseudonyms: Patty Brisco, Laura Wylie, qq.v. Married Marvin Owen Brisco, 1946, divorced 1961; married writer Clayton Matthews, with whom she often collaborated, 1972. Best known for her historical romance novels, with titles such as Love�s Avenging Heart, beginning in the late 1970s; also a prolific writer of Gothic and romantic suspense novels, with over 15 included in the (Revised) Crime Fiction IV under her own name and two pen names. 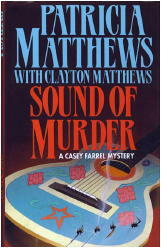 Series character Casey Farrel, at least in one book a female member of the Governor of Arizona�s task force on crime, appeared in four books, each in collaboration with Clayton Matthews. The cover image of one is shown below (London & New York: Severn House, 1994). 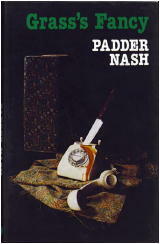 NASH, PADDER. Pseudonym of Alan Sewart, 1928-1998, q.v. Under this pen name, the author of eight detective novels included in the (Revised) Crime Fiction IV. Published between 1982 and 1986 by Robert Hale in the UK, all eight feature Sgt. Boggis as the primary series character, but that each of them has the word �Grass� in the title indicates the stories are told through the eyes of a professional informer. One of these is shown below (Hale, 1982). WELL, ALAN STEWART. Pseudonym of Alan Sewart, 1928-1998, q.v. Add year of death. Under this pen name, the author of four mystery novels included in the (Revised) Crime Fiction IV, all published in the UK by Robert Hale between 1980 and 1984. WHITE, VALERIE. 1915-1975. Add both dates and the following biographical data: Born in South Africa; trained as a commercial artist; stage and television actress, mostly in England. Author of three mystery novels included in the (Revised) Crime Fiction IV. See below. Case. Arthur Barker, UK, hc, 1954. SC: John Case. WILLIAMSON, GEOFFREY. 1897- . Year of death not known. Author of one marginally crime-related novel included in the (Revised) Crime Fiction IV. See below. -The Lovable Outlaw. William Heinemann, UK, hc, 1930. Add setting: India. WISE, ERNIE. 1925-1999. Add year of death. Born Ernest Wiseman, he changed his name when he went into show business at a young age. As a comedian, well known as part of the comedy duo, Morecombe and Wise, considered by Wikipedia as �an institution on British television.� With Eric Morecambe, co-author of one book included in the (Revised) Crime Fiction IV. See below. WYLIE, LAURA. Pseudonym of Patricia (Anne Klein) Matthews, 1927-2006, q.v. Add year of death. Under this pen name, the author of one novel included in the (Revised) Crime Fiction IV. See below. The Night Visitor. Pinnacle, pb, 1979. Reprinted as by Patricia Matthews, Severn House, 1988. Delete series character: Casey Farrrel does not appear, even though so stated in the CD version of CFIV. Re Alan Sewart, you may be interested to know my father chose the pseudonym Alan Stewart Well because he was asked by Robert Hale to have a different name so he chose this “AS WELL” The use of “Stewart” was because, obviously, with a name like Sewart people have always assumed it is a misprint and should really be Stewart. Having married out of the name, I now get people putting an extra “H” in Lynam – seems like I can’t win. What a great story. Thanks for passing it along! I’ll add a reference to the source of your father’s pen name in the Addenda itself as well.